Ghost OG, a phenotype of OG Kush, is loved for its balanced cerebral and body effects. Often described as simultaneously potent and non-intrusive, Ghost OG has won itself Cup awards and renown among consumers. Its strong citrus smell and crystal-covered buds hint at this strain’s strong genetics and its ability to annihilate pain, insomnia, depression, and anxiety. Though originating in the Afghanistan-Pakistan mountains, it is rumored that Ghost OG comes from the Florida mother plant Triangle Kush. 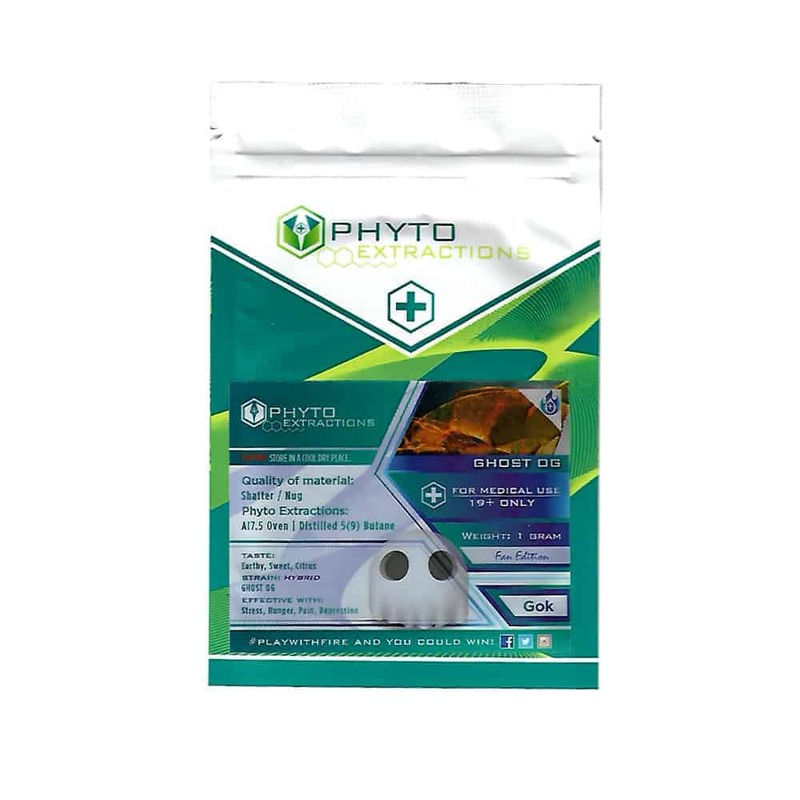 10 reviews for "Phyto – Ghost OG – Hybrid Shatter"
Great shatter never disappoint with phyto ! It was exactly what I needed! I really enjoyed it. I ordered a ton of phyto and this was the first one I tried. It made it hard for anything else to compare, it was a perfect high, good any time throughout the day without a heavy burn out, and it tasted amazing! This stuff is awesome! Would highly reccommend!!! Great taste, very effective in regards to treating anxiety.